“Just beyond the reception desks at the two Clinica Romero health center sites in Los Angeles are signs in English and Spanish that say: “All Are Welcome,” as do buttons worn by staff members. 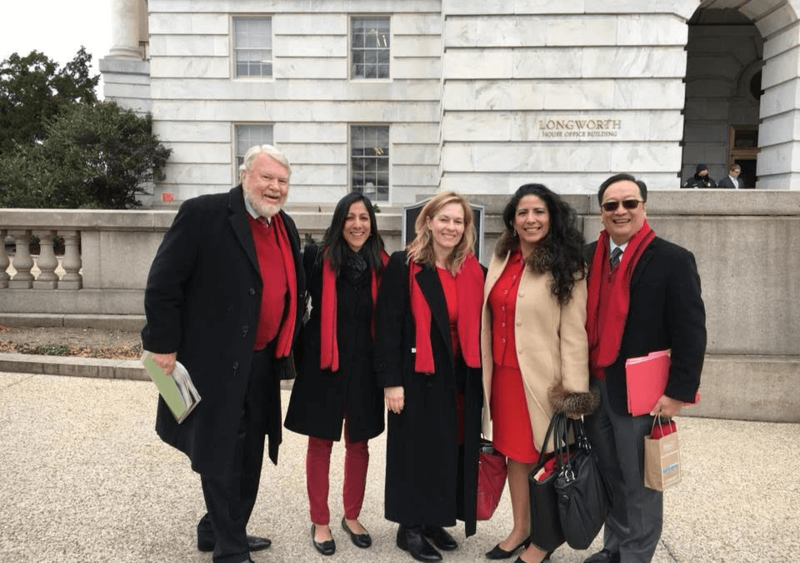 On February 5, 2018, community health center advocates united across the country in a “Day of Demonstration” aimed at fixing the funding cliff impacting health centers and their patients. 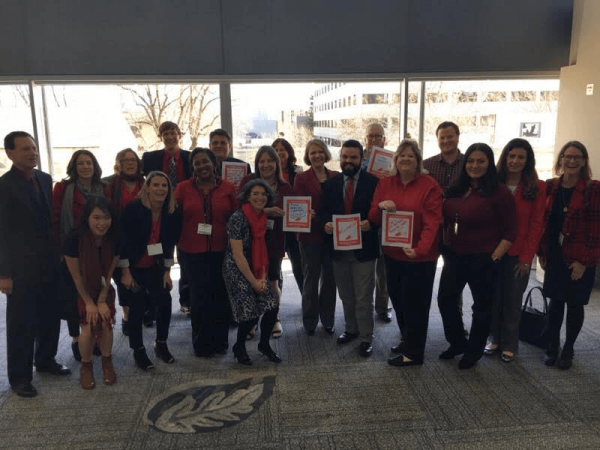 Advocates nationwide wore red and voiced concerns to their members of Congress urging them to include health center funding in the budget package that was passed by both houses and signed by the President in the early hours of February 9th. CPCA members throughout California joined with their counterparts in all 50 states and took to social media, traditional media, held events, and put calls into Capitol Hill – showing the strength and solidarity in our movement. I myself joined colleagues at the Capitol to meet with Congressional members and discuss with them personally what was at stake for community health centers and the communities they serve. 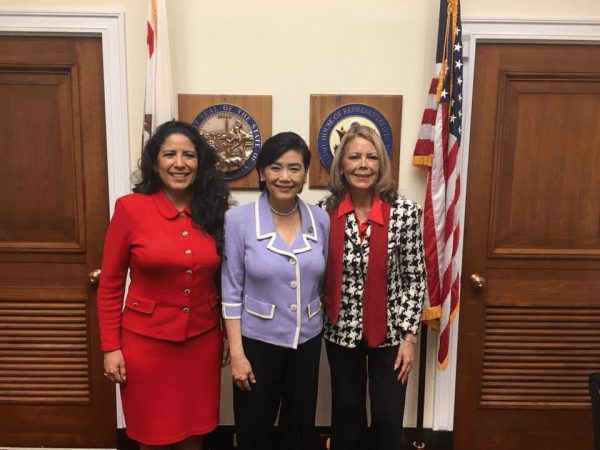 I personally met with Congresswoman Judy Chu, Congresswoman Lucille Roybal-Allard, Congressman Tony Cardenas and Congresswoman Doris Matsui – as well as staff for Speaker Nancy Pelosi, Senator Kamala Harris, and Congressman Kevin McCarthy. Throughout our visits, the overwhelming consensus was clear – community health centers have bipartisan support and are greatly valued by all. Unfortunately, we were caught up in the political dysfunction of Washington D.C. This made it even more critical that we rise above the politics of D.C. and make our voice heard in the halls of Congress. By all accounts we were hugely successful in our efforts, and thanks to our advocacy both chambers of Congress took appropriate action to fix the funding cliff with a two-year extension to health center funding! This is an amazing accomplishment and I want to thank all of the health center leadership, staff, advocates, board members and patients that showed up – both at the Capitol and in their communities – to help us achieve this monumental win. I would especially like to thank the health center leaders that joined me in Congressional District meetings including: Community Health Partnership, Gardner Family Health, North East Medical Services, AltaMed Health Services, and the San Francisco Community Clinic Consortium, among others. 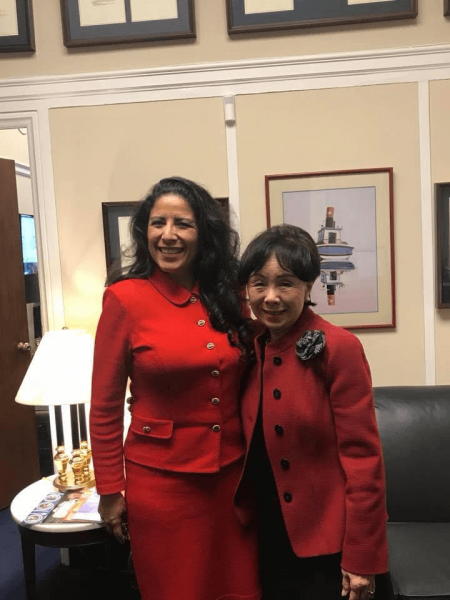 This tremendous effort was led by the National Association of Community Health Centers (NACHC), our national organization, with the help of CPCA staff and one of our federal lobbyists Angie Melton, all of whom played a pivotal role in the overall success of the day. The greatness of the day and the importance of this fly-ins was not lost on me. We are all busy. We all have a million things to do day-to-day. But we cannot lose sight of the critical role these “Days of Action” play in pushing our agendas and promoting our issues, or the fact that our voice is louder when we all come together and advocate as one. We need to continue our efforts on issues that are important to us and the communities we serve – including immigration. While I am very pleased that Congress averted the health center funding cliff, I am deeply concerned about the future for DACA recipients. The Senate will begin their floor debate on immigration legislation next week, and I hope that the House of Representatives shows the same commitment to an open process. DREAMers are an integral part of the fabric of our communities in California – they are patients and, in some cases, employees at our health centers, and they are also our neighbors and friends. I call on Congress to find a fair solution that allows DREAMers to continue to thrive in their lives as Americans and I hope that you will join me in doing so. We have the opportunity here and now to join together and have our voices heard on DACA. We can build on this momentum and this victory for health centers. I hope to see an even stronger delegation of advocates at NACHC’s Policy and Issues Forum in March and at our own Day at the Capitol in Sacramento in April, because we still have much to fight for!